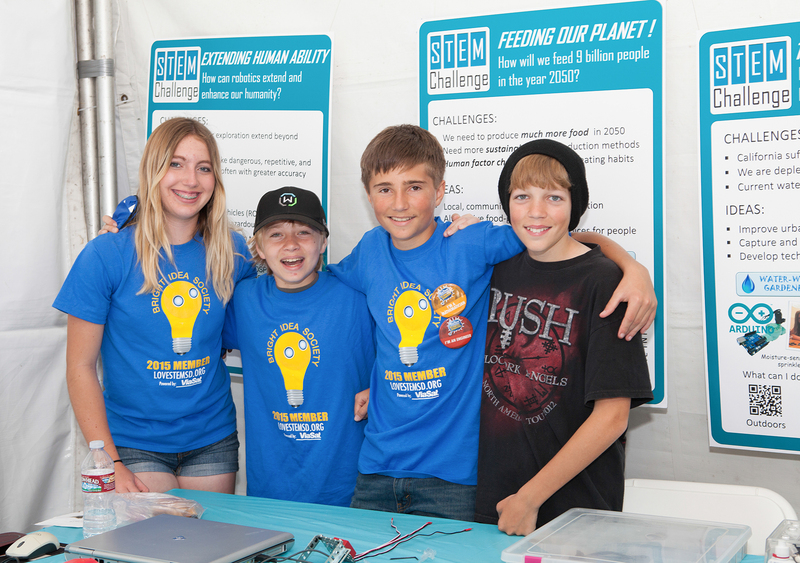 Bright Idea Society - Connected by Viasat Inc.
We have redesigned our Bright Idea Society Program for the 2019 Festival of Science and Engineering! 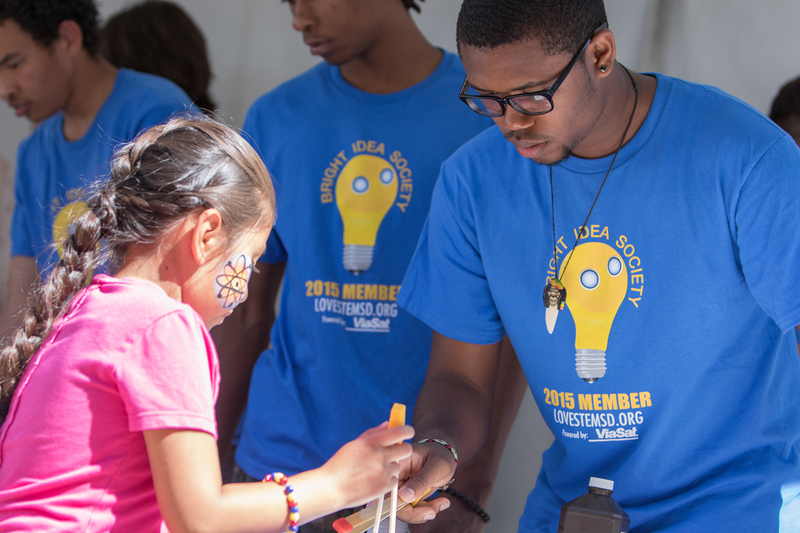 Apply to become a member of the Bright Idea Society throughout the 2018-19 school year! Start the year with an innovative idea and project. 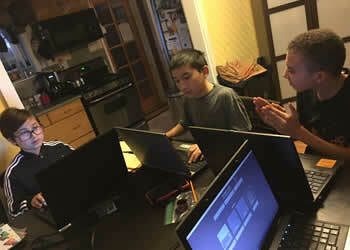 Work on this project for the entire school year, with help from mentors currently working in Science, Technology, Engineering, and Math (STEM) fields. 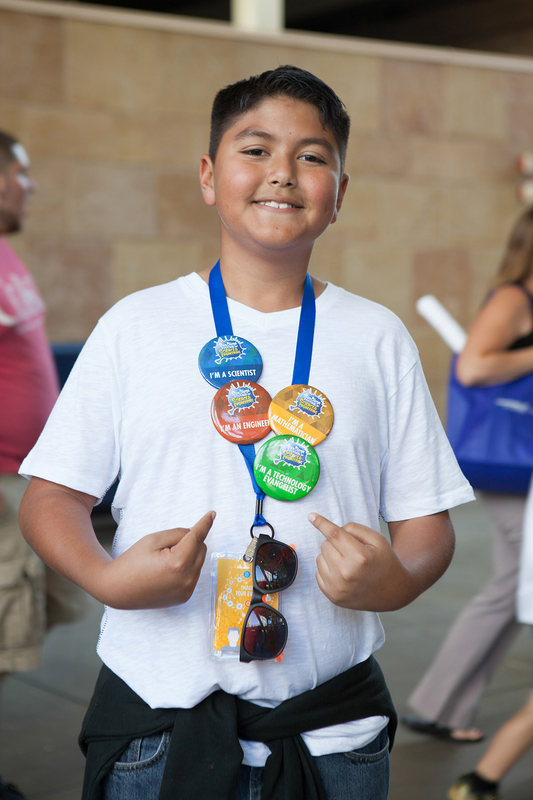 At the end of the year, you will have the opportunity to present your project at EXPO Day - wow San Diego with your Bright Ideas! 2018 Bright Idea Society Winners - Connected by Viasat Inc. 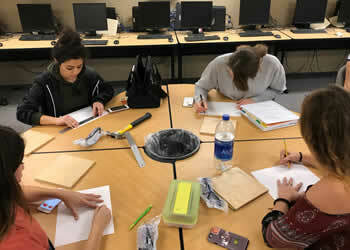 These students engaged in individual Citizen Science projects where they selected an environmental issue and collected data using online resources such as animal webcams or NOAA temperature/precipitation data to answer their own unique questions. For example, two students wanted to know if the animals that used a waterhole in Africa vaired by the air temperature. 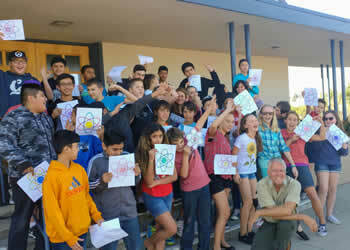 Another group of students wanted to exaine the amount of cloud cover in various parts of San Diego County to see if that affected the temperature at night. Students collected and analyzed their data over the course of the year, continuing to make cnclusions and asking additional questions based on what they observed. Mrs. Kristina H. Watkins lead her 7th grade STEM class from Thrive Public Schools through the Universe with the help of Big History Project. Students created murals, models and Minecraft manipulations of games synthesizing content. 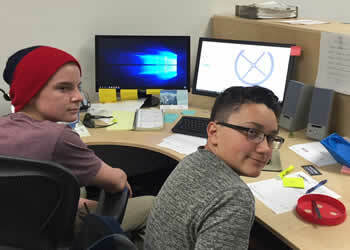 Team Hypernova collaborated to design, code and build portals to mini Minecraft games that took players through fun and exciting playable challenges covering 13.8 billion years of time: The Big Bang Theory, Stars, Solar System, Earth and Life! These students studied how many elements cycle as chlorine does, and how atoms move in the 4 main types of chemical reactions - themed "The Atomic Dance." Students also learned about the interactive installation art, and generated ideas for an installation that would teach the public about elemental cycles and types of reactions using the theme of The Atomic Dance. Each year, over 50 million people in the US participate in some form of bird watching, including at-home use of bird feeders, bird houses, and baths. 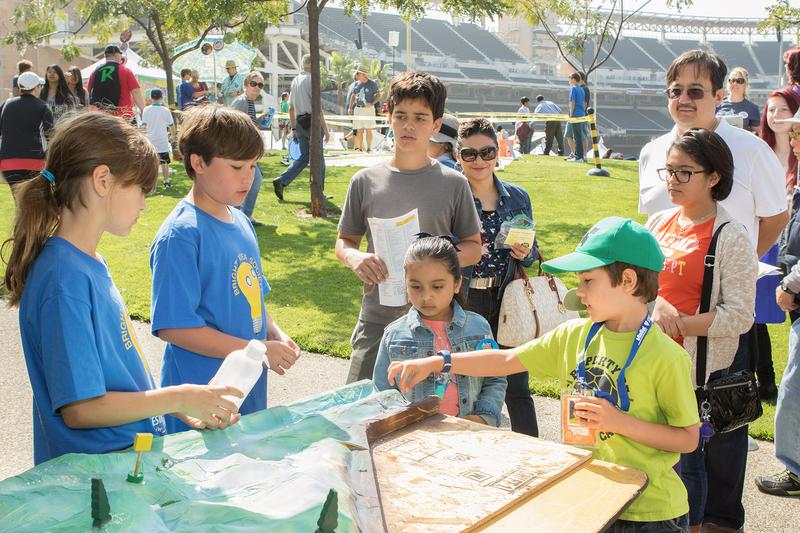 This team addressed this huge market by designing the best bird feeder ever - Optimus Volucres. This team used various high-tech processes to make this bird feeder including: 3D design, 3D prototyping, prototype tooling, and short run production with modern plastics. 2018 Bright Idea Society Runners-Up - Connected by Viasat Inc. 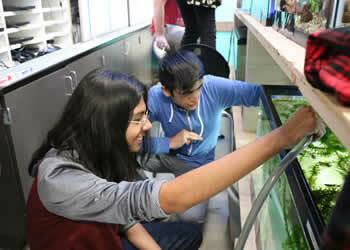 These students educated the public on the proper way to create a biotope for an aquarium to ensure the least amount of stress for their fish. Students looked at ways that humans impact the natural ecosystems and attempted to create pristine environments for their species to survive. These students engaged in projects on habitat research. They asked the important question - What can we do to protect the habitats? They researched and learned about plant and animal dependency, about human impact, and what we can do locally to make a difference. 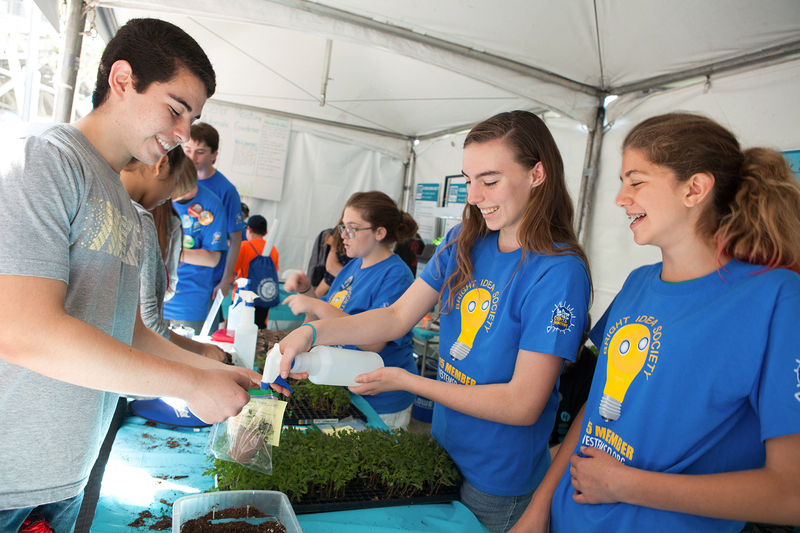 The team created a plan and published a book to inform people everywhere about the state of the environment. 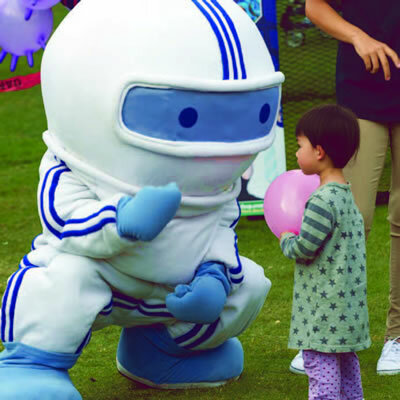 2018 Bright Idea Society Honorable Mentions - Connected by Viasat Inc. 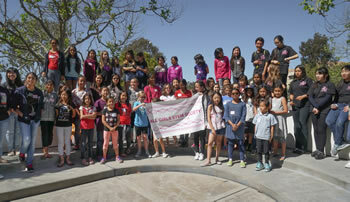 This group hosted free monthly workshops at public libraries on various STEM topics including astronomy, aerospace, biology, chemistry, circuity, game theory, math, robotics, and many more, all aimed for girls in grades 3-8. All curriculum was designed and taught by high school students, and the organization was completely student-run. 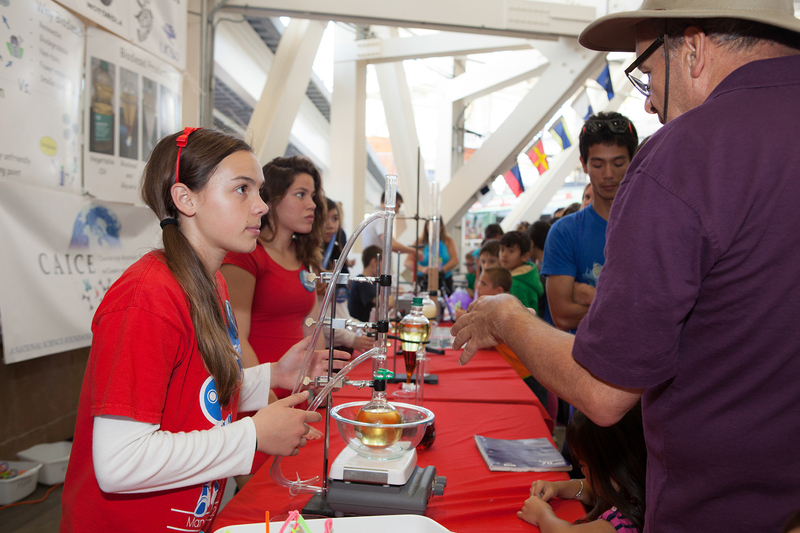 This group's mission was to get primary school girls interested in STEM-related fields. 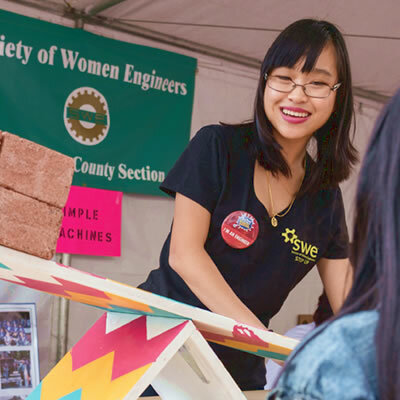 By visiting classrooms and providing lessons, experiments, crafts, tasts, and games, the Femineers aimed to inspire girls to pursue STEM classes and fields throughout their higher education.